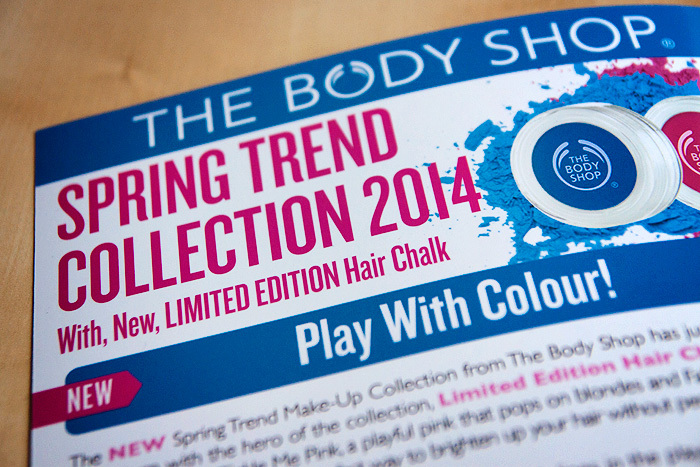 Launching in February are a duo of bright hair chalks from The Body Shop…. perhaps not the usual release you’d expect from the British brand but an interesting one nonetheless! 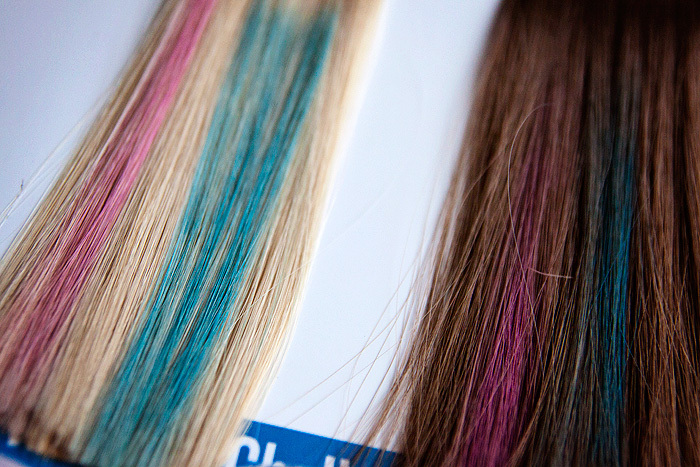 The chalks promise to provide bright, temporary colour and wash out easily with a spot of shampoo. 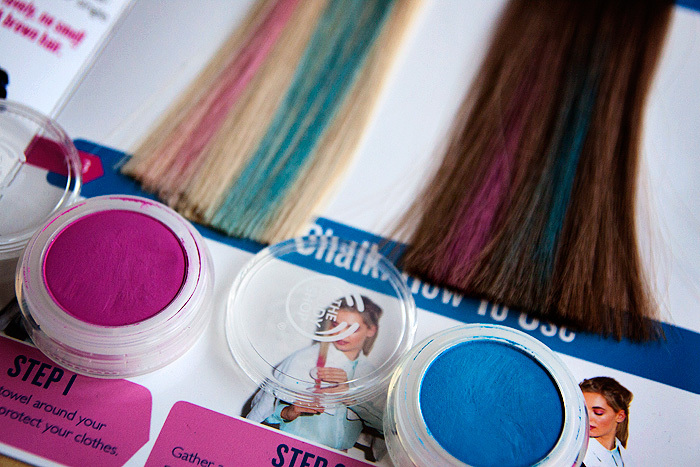 The two shades available, Tickle Me Pink and Falling For Blue look brilliantly bright in their pots but need do take a little effort to transfer this brilliance onto the hair. The Body Shop recommend that blondes use the pink, whilst brunettes might like to opt for the blue… but where’s the fun in that? Colour for all I say! Blondes shouldn’t have any problems rocking both shades and Leila loved the blue… especially when I did her a hidden streak that she could wear to school this week. On darker hair, you may find it beneficial to dampen the strand before applying, this will ramp up the intensity of the colour. You do need to get your fingers dirty during application as the best method is to place a finger or thumb over the hair to trap it in place on-top of the chalk before sliding the pot down the strand. You can also twist the piece of hair before applying to create a brighter effect. Once you’ve finished, spritz a little hairspray on the coloured strands to lock the shading in place. You know I’ve been meaning to try the Loreal ones, but haven’t got round to it yet… Still its nice to see more brands offer their versions! I wonder if and when these become available in Greece! Thanks for the post! Deal Alert - Barielle Holiday Hustle Collection - 20% Off!